CSS3 has been around for ages. 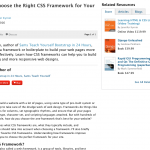 Long enough that most people don’t even call it CSS3 any longer, it’s just CSS. And it’s just CSS because it just works in nearly all situations. But even though the more advanced features of CSS work without a hitch in modern browsers many web designers are reluctant to use them. Guess what, the excuse of browser compatibility is no longer valid. It’s time to learn advanced CSS. 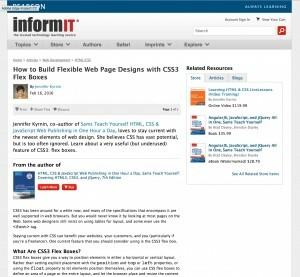 I wrote this article for InformIT about flex boxes to help you get up to speed with another option you have for layout and site design–CSS Flex Boxes. 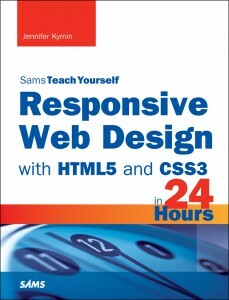 You can learn other ways to layout your web pages in my book on responsive web design: Sams Teach Yourself Responsive Web Design in 24 Hours. 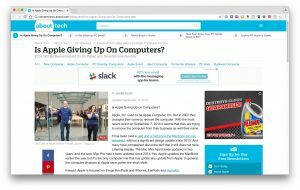 In it I cover lots of different ways to make a website more accessible, along with how to write HTML5. 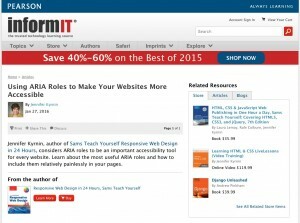 ARIA roles are one of those things that are easy to forget when doing web development. They aren’t visible in most situations, and they don’t affect the way a page looks or acts. 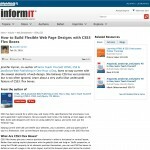 But by adding just a few simple attributes to your pages, you can make them much more accessible. And accessible pages can be read by many more people. So it’s important to learn how using ARIA roles can benefit both you and your readers. Of course, the reason people ignore ARIA roles is because they are very confusing. The specifications are hard to read and very technical, and there aren’t a lot of websites that discuss them. 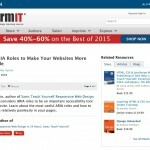 So I wrote this article for InformIT to explain more about using ARIA roles. You can learn a lot more about accessibility and many different HTML attributes in my book on HTML5: Sams Teach Yourself HTML5 Mobile Application Development in 24 Hours. 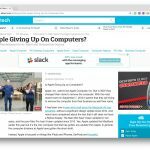 In it I cover lots of different ways to make a website more accessible, along with how to write HTML5. 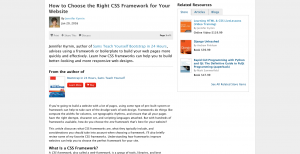 There are so many different frameworks you can use to help improve your web designs and speed up web development. It can be hard to choose the best one. I tend to choose Bootstrap, mostly because I know it the best, but it’s not the only one. 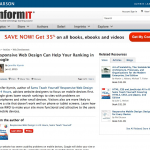 In this article on InformIT, I share some of the available frameworks and what I like about them so that you can make a more informed decision. 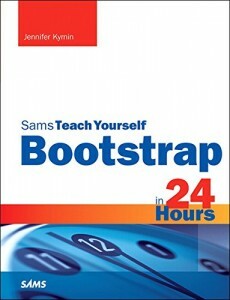 And if you decide you like Bootstrap, don’t forget to get a copy of my book: Teach Yourself Bootstrap in 24 Hours. Most people focus on the benefits of responsive web design (RWD) for customers, but Google wants you to do it and will reward you if you do. 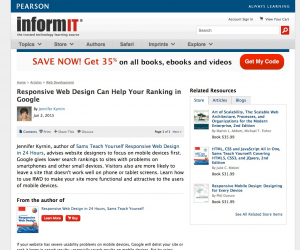 Learn more about how RWD can help improve your search rankings while making your site more usable for every customer. 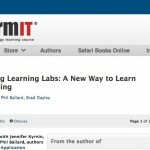 An interview with me and two other Learning Lab authors about this new product. 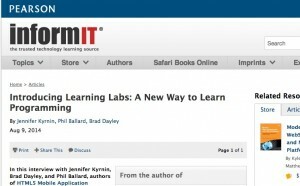 I like the learning labs because they provide more access to different learning styles all within the same book. Whether you learn by reading, watching, listening, or doing, these labs have you covered all within the same book!